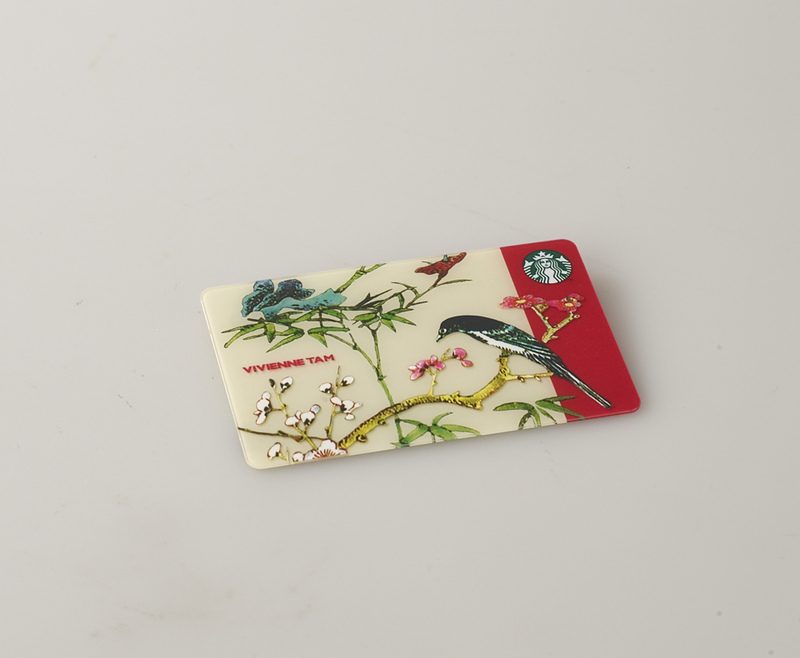 A blend of Kenyan Tea leaves and chocolate is infused into a smooth and delicious Black Tea Frappuccino®. 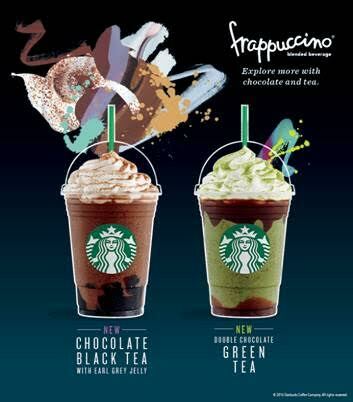 This beverage starts with a layer of refreshing and aromatic Earl Grey Tea Jelly then topped with a smooth Black Tea Frappuccino® with chocolate Java Chips and finished with whipped cream and a sprinkle of chocolate Black Tea powder. This beverage is a Green Tea Frappuccino® infused with crunchy Java Chips layered with a smooth chocolate sauce at the top and bottom of the cup. It is then topped with whipped cream and a light dusting of Green Tea powder. These are available from June 7 to July 25, 2016. In collaboration with Vivienne Tam, this limited edition Starbucks Card is inspired by her iconic DzBird and Floradzprint. The design showcases Tam’s East-meets-West approach to design, that effortlessly blends cultural roots with modern design vocabulary. Available for an initial consumable load amount of ₱1,000. 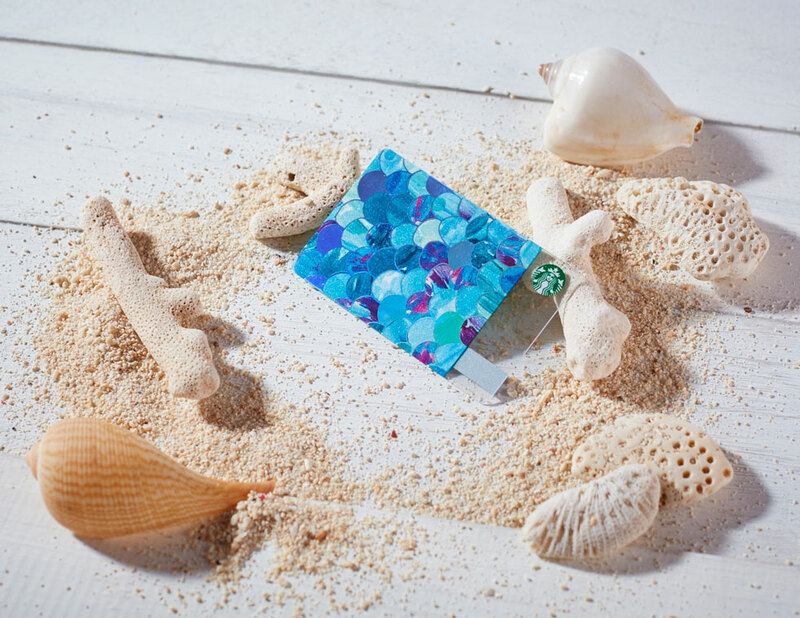 Inspired by Strabucks' Siren’s tail, this special blue fish scales design will make a colorful splash this season. Available for an initial consumable load amount of ₱300.